Interested in buying a new choke for turkey hunting in 2020? Here are a few things to look for that will help you choose the right one. 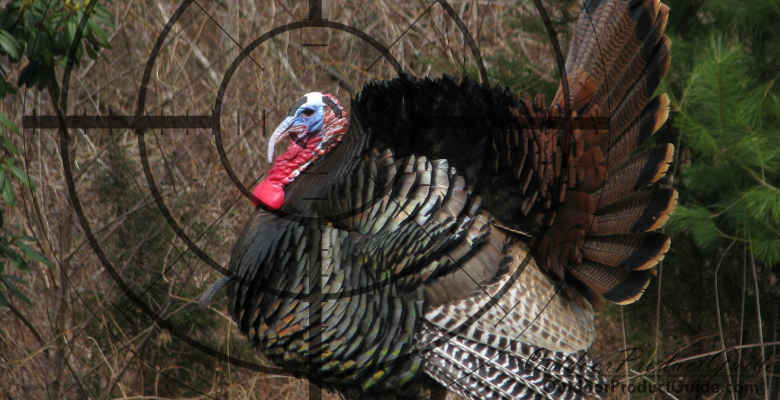 We all know that dense patterns are what matters most when turkey hunting and finding the right choke to deliver pellets on target is often not easy to find. Through extensive patterning and testing, I’ve found the best choke for turkey hunting is the Carlson’s Long Beard XR. I’ve used it for years and it’s always gotten the job done. Below are the top 3 best chokes for turkey hunting that I’ve had good success with across a wide range of different shotgun and ammo combinations. Let’s face it, finding a good turkey hunting choke isn’t always easy. I place it up there with finding a good turkey hunting vest; you just need to try several out before you can narrow down the options. I’ve gone through countless chokes and ammo combinations trying to find the best patterns. After years of patterning, these are the top 3 chokes that have performed the best and were the easiest to get 80% or better pellet density at up to 50 yards. 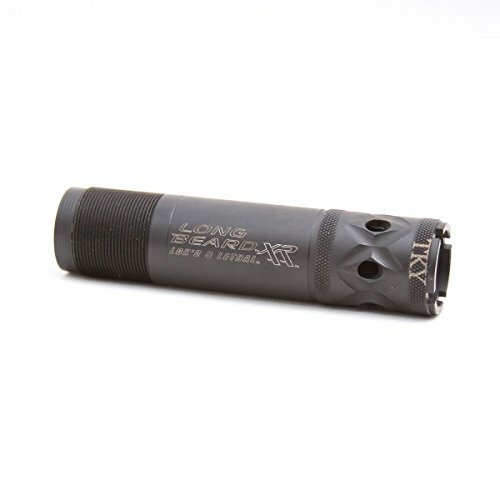 Carlson’s Long Beard XR Choke Tube (click to check the price at Amazon) – Carlson’s is a leader in turkey choke tubes for both quality and patterning results. The Long Beard XR works EXTREMELY well with my Mossberg 935. I’ve been able to achieve over 85% pattern density at 40 yards with this choke and the Winchester XR ammo. This is my top pick. Hevi-Shot Hevi-13 Turkey Choke Tube (click to check the price at Cabelas) – If you’re using Hevi-shot ammo on your turkey hunts, give the Hevi-shot turkey chokes a try. They’ve been specifically designed by Hevi-shot to be used with their ammo. The 13 g/cc high density pellets make even 7 shot a viable turkey load at 40 yards. This is the best choke and ammo combination if cost isn’t a factor. TRUGLO Head Banger Turkey Choke (click to check the price at Amazon) – Before I switched to the Carlson’s Long Beard XR, the Truglo Head Banger was the choke I always depended on. It works really well out of my 20 gauge Remington 11-87 and the patterns are always dense out to 40 yards. This is your budget option. The Long Beard XR choke is designed especially for the Winchester Long Beard XR ammo. This is one of the top choke/ammo combinations currently available for turkey hunting. Here is a great clip of what you can expect to achieve with a good choke for turkey hunting. 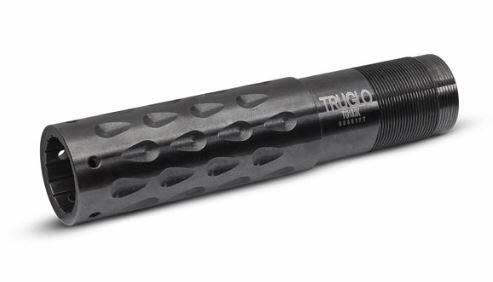 Turkey choke tubes designed for specific ammunition can help reduce the amount of patterning involved to find a good setup. Most of the testing has already been completed, so take advantage of it. Thick walled turkey chokes are better at withstanding high pressures and thick shot columns that could create choke bulging in thin walled applications. You can greatly improve your odds of harvesting an old tom on your next hunt by trying out one of the proven turkey chokes I’ve mentioned in this review. The Carlson’s Long Beard is my favorite, but I encourage you to look around and try as many chokes as possible to find what works with your shotgun and ammo.